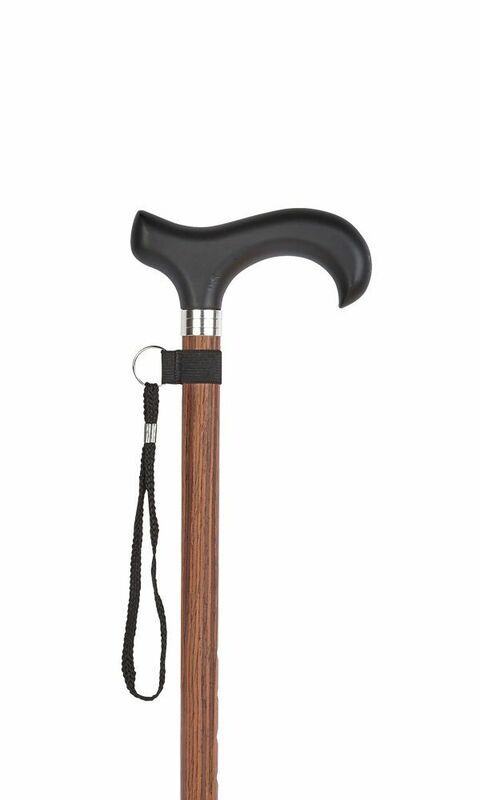 Light and extremely strong aluminium stick with black wood derby handle and silver collar. Adjustable sticks are securely fixed at the desired length by a simple toggle and screw lock. Wrist cord and ferrule included. They are adjustable in height from 27.5" to 36.5" (70cm to 93cm).